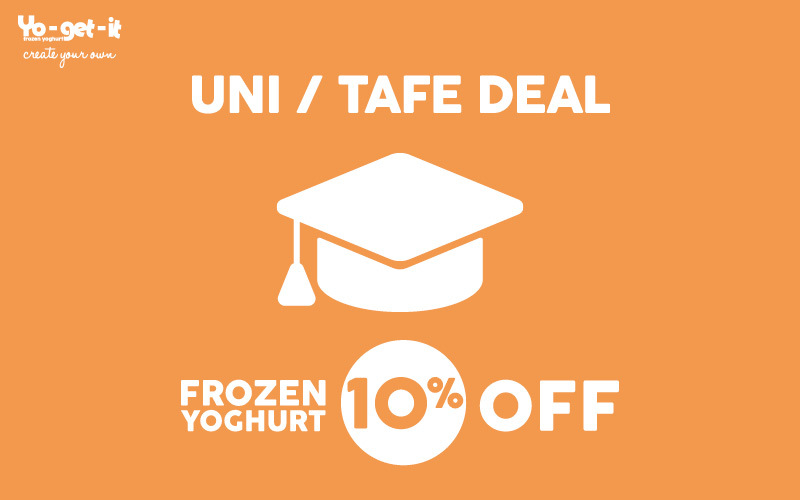 DEAL: 10% off frozen yoghurt – when the customer shows a valid & current university/tafe student card or club & societies card. The discount is off the yoghurt only and not the transaction. Yoghurt purchase must be valued at over $5.